Condition: Gigantic hardcover in hardcover slipcase. Blue cloth spine with card boards. 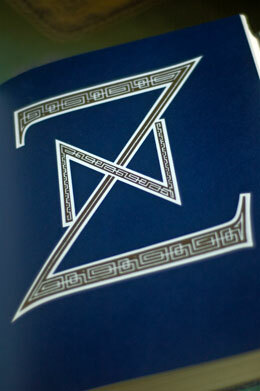 Slipcase is very good, book is excellent in condition. Condition: Gigantic hardcover in hardcover slipcase. Blue cloth spine with card boards. 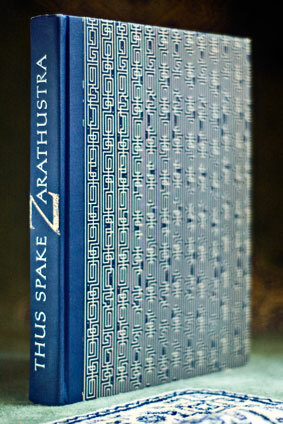 Slipcase is very good, book is excellent in condition. Shipping overseas will cost extra. 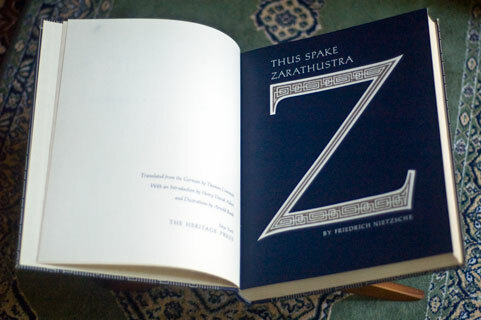 Thus Spoke Zarathustra: A Book for All and None is a philosophical novel by German philosopher Friedrich Nietzsche, composed in four parts between 1883 and 1885. Much of the work deals with ideas such as the “eternal recurrence of the same”, the parable on the “death of God”, and the “prophecy” of the Übermensch. The eternal recurrence, found elsewhere in Nietzsche’s writing, is also mentioned. The eternal recurrence is the idea that all events that have happened will happen again, infinitely many times. Such a reality can serve as the litmus test for an overman. Faced with the knowledge that he would repeat every action that he has taken, an overman would be elated as he has no regrets and loves life. The will to power is the fundamental component of human nature. Everything we do is an expression of the will to power. The will to power is a psychological analysis of all human action and is accentuated by self-overcoming and self-enhancement. Contrasted with living for procreation, pleasure, or happiness, the will to power is the summary of all man’s struggle against his surrounding environment as well as his reason for living in it. 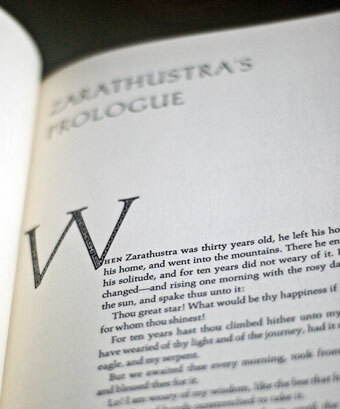 Many criticisms of Christianity can be found in Thus Spoke Zarathustra, in particular Christian values of good and evil and its belief in an afterlife. Nietzsche sees the complacency of Christian values as fetters to the achievement of overman as well as on the human spirit. “I teach you the overman. Man is something that shall be overcome. What have you done to overcome him? “All beings so far have created something beyond themselves; and do you want to be the ebb of this great flood and even go back to the beasts rather than overcome man? What is the ape to man? A laughingstock or a painful embarrassment. And man shall be just that for the overman: a laughingstock or a painful embarrassment. You have made your way from worm to man, and much in you is still worm. Once you were apes, and even now, too, man is more ape than any ape. “Whoever is the wisest among you is also a mere conflict and cross between plant and ghost. But do I bid you become ghosts or plants? 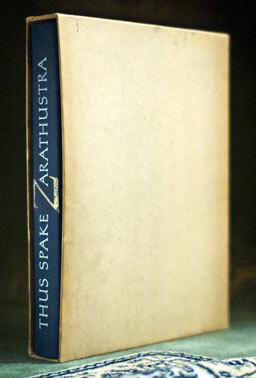 With [Thus Spoke Zarathustra] I have given mankind the greatest present that has ever been made to it so far. This book, with a voice bridging centuries, is not only the highest book there is, the book that is truly characterized by the air of the heights—the whole fact of man lies beneath it at a tremendous distance—it is also the deepest, born out of the innermost wealth of truth, an inexhaustible well to which no pail descends without coming up again filled with gold and goodness.